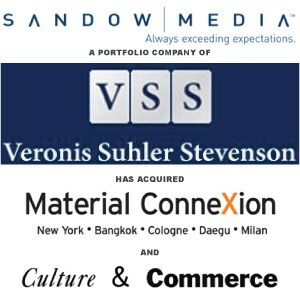 Sandow Acquires Material Connexion And Culture & Commerce, Inc. - Berkery, Noyes & Co., LLC. Sandow Acquires Material Connexion And Culture & Commerce, Inc.
New York, NY, June 1, 2011 — Sandow announced today it has acquired Material ConneXion, Inc., a leading global materials consultancy with the largest library of innovative materials in the world, and its sister company, Culture & Commerce Inc., the premier design management firm in the U.S. The acquisition marks an important step forward in the growth of both companies, as well as for Sandow as it continues to expand its services and further solidifies its position in the design world. “We are thrilled to be joining the Sandow team. Adam Sandow truly understands our vision, and we are excited to become an integral part of the Sandow platform, taking this business to the next level. 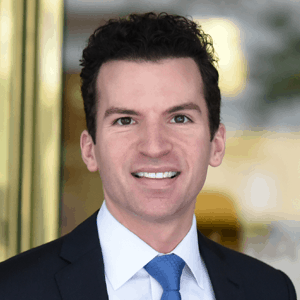 I have every confidence that the future of both companies is in great hands and will continue to grow through his expertise and burgeoning network,” says Founder of Material ConneXion and Culture & Commerce, George M. Beylerian, whose primary focus will be to provide vision and direction, support the growth of the company’s international licensing program, and render ambassadorial duties. “Sandow’s business acumen and passion for developing innovative brands makes the company a perfect partner to take our companies to the next stage,” says Michele Caniato who will remain in his leadership role as President of both Material ConneXion and Culture & Commerce. “Sandow intends to heavily invest in George Beylerian’s vision and the business he has built. Under President Michele Caniato’s leadership, we will leverage the resources of our overall platform to significantly grow the Material ConneXion influence and expand its global presence. We plan to open Material Libraries around the world, bring the platform to more universities and corporations, and devote substantial funds to new technologies that will greatly benefit our clients,” says Sandow. Like its sister company, Culture & Commerce has had a significant impact on the design world, developing and negotiating high profile design projects and transactions for some of the world’s leading designers and brands. The company first made its mark by bringing Philippe Starck to Target in 2001. In the decade since, its business savvy and creative expertise have been sought out by both designers seeking to develop new business and corporations who turn to Culture & Commerce to identify the right designers to make their projects successful. Recent projects have included Marcel Wanders for MAC cosmetics, Yves Behar/Fuseproject for Puma, Philippe Starck for SLS hotels, Dror Benshetrit for Target and Matthew Rolston for The Redbury hotel by SBE Entertainment. More and more, Culture & Commerce and Material ConneXion are working together to provide companies with the essential ingredients to make a project successful: the designer, the materials and the sustainability strategy. The acquisition comes on the heels of Material ConneXion’s announcement that it will open 10 Material Libraries throughout China by 2017, beginning with Beijing in October 2011 and Shanghai and Guangzhou in 2012. This year, the company will also launch a new online Materials Database. Dr. Andrew H. Dent, Vice President, Library & Materials Research, will continue to guide and develop the everexpanding knowledge base that is at the heart of Material ConneXion. “We recognize his expertise and insight as invaluable and look forward to increasing his presence across our many platforms,” says Sandow. The transaction between Sandow and Material ConneXion was brokered by Berkery Noyes. Material ConneXion (materialconnexion.com) is a global materials consultancy that helps companies innovate through smart materials thinking. Built on the belief that Every Idea Has A Material Solution™, Material ConneXion is the trusted advisor to Fortune 500s, smaller forward-thinking companies, and government agencies seeking a creative, competitive, or sustainable edge through strategic material selections. With offices in New York, Bangkok, Cologne, Daegu (Korea), Istanbul (Opening June 2011) and Milan, Material ConneXion’s international network of specialists provides a global, cross-industry perspective on materials and their potential uses. Material ConneXion maintains the largest subscription-based Materials Library of innovative materials and processes in the world—an indispensable asset to a wide audience of designers and architects and a vital tool for the development of design, industry and economy. About Culture & Commerce, Inc.
Culture & Commerce (culturecommerce.com) is a strategic design consultancy that develops high potential design opportunities for global brands and international designers. Built on the belief that “good design is good business”, Culture & Commerce helps companies leverage design as a critical strategic platform for launching products and services, differentiating brands, generating revenues and delivering profits. As the premier design management agency in the U.S., Culture & Commerce represents some of the world’s leading designers including DrorBenshetrit, Yves Behar, Milton Glaser, Sami Hayek, PieroLissoni, Paola Navone, Matthew Rolston, Philippe Starck, Marcel Wanders. Culture & Commerce has developed profitable projects in a wide range of industries— from consumer products and housewares to furniture and hospitality—for companies such as Microsoft, PUMA, Target, MAC, Rosenthal, Alessi, Cappellini, Poltrona Frau, SBE Entertainment, and the Morgans Hotel Group, among others. The company also provides marketing and communications support for both the projects it develops and to individual clients on an ongoing and project basis. Founded by Adam I. Sandow in 2002, Sandow (sandow.com) is a leader in building multichannel, vertically integrated brands from inception to execution in both the physical and digital realms. The company’s foundation is built on indispensable, influential resources including key platforms that include brand and product development, marketing services, print and digital consumer and trade media, franchise events, conferences and tradeshows. Sandow’s flagship brands include the powerhouse beauty brand NewBeauty; Worth, the business and finance magazine for the ultra-affluent; Luxe Interiors + Design, the nation’s largest network of luxury design magazines; Interior Design, the iconic publication serving the interior design industry; Surface magazine, the American voice of the contemporary luxury design world; and Furniture Today’s group of publications. Sandow is the founder of AccessLab, an experiential and event marketing company, which includes Gen Art, the beloved organization that engages consumer audiences and aligns brands organically with emerging talent in film, fashion, music and art. Sandow has more than 400 employees with offices in New York, Florida, Los Angeles and North Carolina.